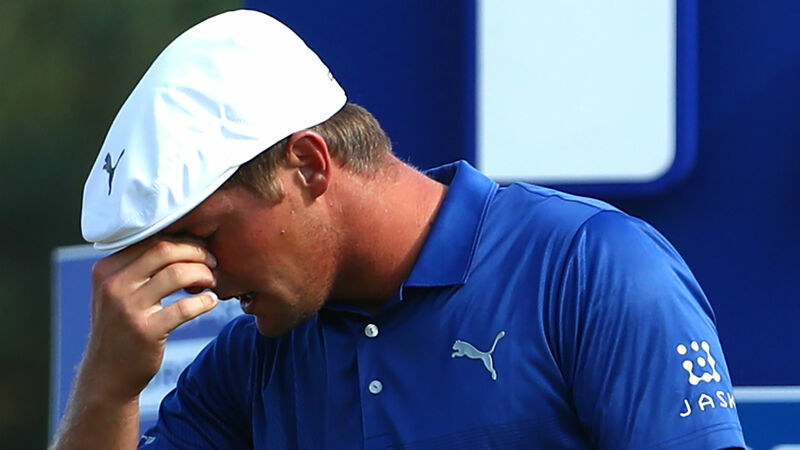 Bryson Dechambeau has apologized to Richard McEvoy for his “brevity” after the American missed out on a European Open victory Sunday. Dechambeau and McEvoy started the final round as co-leaders, but Dechambeau fell away with a closing 6-over 78 in Hamburg, Germany. McEvoy secured his first European title on his 285th attempt following a victory on the Challenger Tour in France the previous week. Dechambeau was criticized for offering only a token handshake to the unheralded Englishman after the biggest win of his career, leading to the world No. 23 to express his regret for reacting in such a manner after a difficult day on the course. “Tough finish at the @peo_18, but overall I had a great week in Hamburg. Thank you to Porsche European Open for having me.” he posted on Instagram. “A terrific golf course with great support from the fans. I apologize to Richard McEvoy and the fans for my brevity on 18.